Super Granny is back and ready for action in Super Granny 5, her latest action-packed adventure! Super Granny must journey into the dangerous wilderness of her backyard, battle all-new gran-eating enemies and rescue her precious kitties from unlikely peril!With all-new enemies, a hilarious storyline, over 30 interactive items and unique bonuses awarded for in-game achievements, help the now tiny Super Granny run, dig and climb her way. ...... her way through more than 130 levels in Super Granny 5 - a puzzle-solving, item-tossing, addictive adventure! 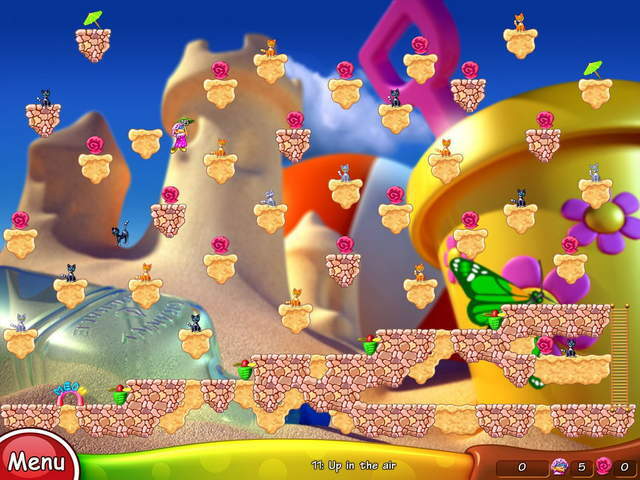 Create your own levels and share them with friends in this fun and fast-paced arcade game. * 5 All-New Locations To Explore! * Create Your Own Levels! Qweas is providing links to Super Granny 5 2010 as a courtesy, and makes no representations regarding Super Granny 5 or any other applications or any information related thereto. Any questions, complaints or claims regarding this application Super Granny 5 2010 must be directed to the appropriate software vendor. You may click the publisher link of Super Granny 5 on the top of this page to get more details about the vendor. I Live at Santa's House!